Can it be found? The Ideal AT Overnight Site? Those of you that haunt White Blaze have likely seen some threads on this topic, they tend to surface on a fairly regular basis. Some hikers advocate removing all shelters–even removing designated camping areas completely–letting hikers choose their own campsites best suited to their needs and schedule. 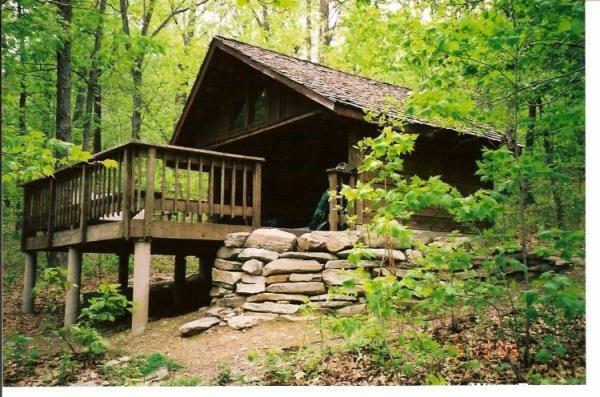 Others ring praise about the Fontana Hilton, or some of those sweet shelters near Harper’s Ferry with porch swings and separate cooking and eating areas. I’ve even seen suggestions for solar powered USB stations to keep your gear going for another day (these folks probably haven’t noticed that most shelters are in the woods, not open fields where there’s ample sunlight). 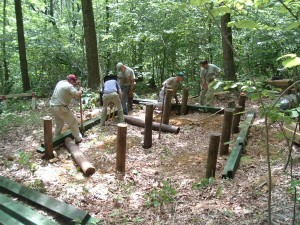 Behind the scenes, there are lots of considerations about placement and design of overnight sites. While there are indeed hikers that want the freedom to “throw down” wherever it suits, I’ve found these are often ‘romantics’ that have never hiked the Trail or they are old timers with lots of outdoor experience under their hipbelts. Most of us hiking in the dreaded “AT Week of Rain” come to value pretty highly a roof overhead that doesn’t leak. Further, congregating with fellow hikers at the end of day is an important ingredient of the A.T. experience. A well designed overnight site can provide respite from the weather, an opportunity for social interaction or place to withdraw from the crowd–while doing minimal environmental damage to the natural surroundings. Let’s assume we want to add new overnight sites to the Trail (and personally, I’m not certain that more are needed at this point), what should be our considerations? 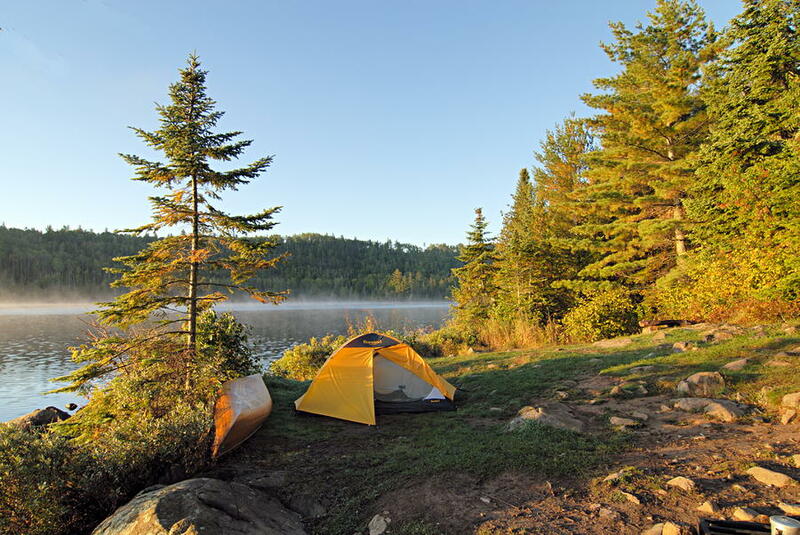 First off, let’s stop briefly in jargon-space… At the most basic level, camping on the A.T. is permitted either at “designated sites” (which may or may not include a shelter, privy or other structure), or it’s left to the hiker where to camp (so-called “dispersed” camping). 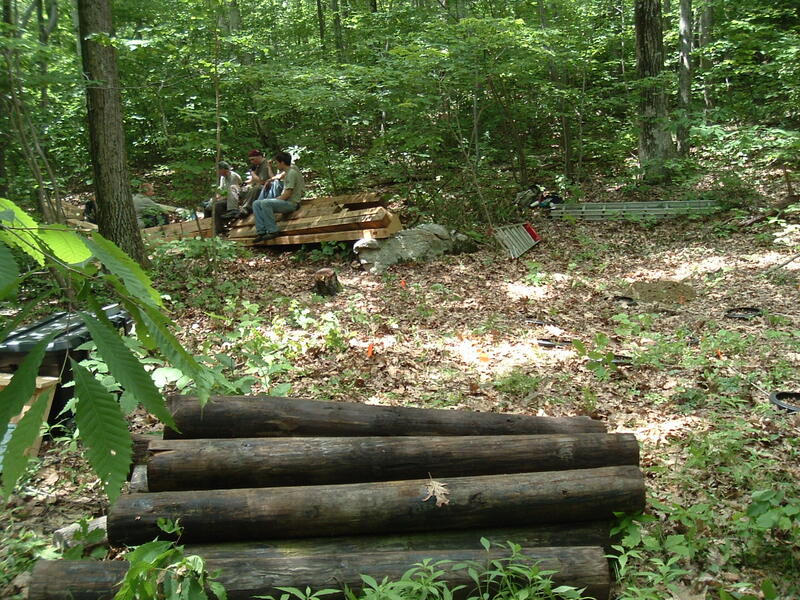 What type is where, is up to the Land Managing Agency (the National Park Service-NPS, the US Forest Service–USFS, or various state parks- such as the Massachusetts Department of Conservation and Recreation–DCR). 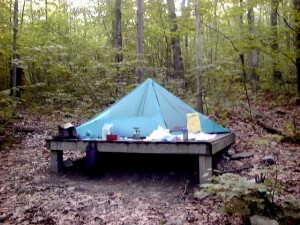 National Forests (such as the Green Mountain, White Mountain, Jefferson, etc) which are managed by the USFS, do have traditional AT designated sites, but also often permit dispersed camping provided it’s more than 200ft from trails and water sources (in fragile environments like high altitude areas in the Whites and Greens, camping is only allowed at designated sites). Outside of National Forests, other A.T. land managers usually are more restrictive, and allow camping only at specific sites. Why Can’t I Camp Here? Speaking managerially, the primary reason for designated overnight sites is resource protection. The idea being if we concentrate use in specific locations, damage (and that IS the word for it) to the natural environment is contained in small pockets at places that are best able to resist it–not only in terms of the flora and fauna, but also soil type, slope and drainage. Distance from roads and trail neighbors is also desirable. Oh, and a nearby reliable water supply would be handy. Studies have shown that a few as 10 camp-nights a year in the same place will cause long term observable changes in vegetation in woodlands. A.T. overnight sites see many times that amount of use, so durable, well managed locations are highly desirable. Only a very small percentage of A.T. hikers camp by themselves. What Makes a Good A.T. Campsite? Have surveys for rare species, historic artifacts, and other environmental impacts found nothing unique or of concern? Its it a good distance from roads/neighbors? What this distance is can be subjective and depends on factors like the terrain between the access point and the shelter, the frequency of use of the road, available parking, and local social conditions. Is the soil soft, or wet? Is the area flat or sloping? Is there a reliable nearby water supply? Can this site be maintained with current resources (professional and/or volunteer)? Short approach trail at same elevation as A.T.
I’m sure you can add more, and you might want to re-order the list, but you can see there is some (but not much) overlap between the two. You may also notice that there are more than a few current overnight sites that don’t meet criteria in either list. The A.T. has been around for a while, and in earlier times different factors were considered important–such as views, interesting terrain, personal preference of a donor or trail boss, etc. So let’s continue to hypothesize, and assume we’ve found a suitable location that at least meets the Manager’s list. This is not as bad as it sounds, don’t despair–many volunteers (and professional staff partners) are hikers too, and appreciate the value of a campsite that meets many of the requirements on the Hiker’s list. OK, now we’ve decided on the location (this is actually more complicated than I just described, with lots of Trail partners involved–the whole three-legged stool thing). What do we put there? 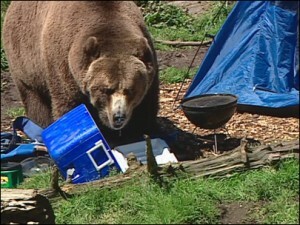 Traditionally of course, a three sided shelter (also called a lean-to in some areas) is the first choice. Operationally speaking, a shelter can make a site that is not suitable for tenting (sloping, wet, rocky, brushy) still be a functional location. But…a shelter is a large investment–materials will likely run in the $6000 range–more if you cheat and use a helicopter, at $1600/hour to bring them in–and building one from local rocks or trees cut on the site is pretty unlikely these days, as the labor required for that type of work is huge. A shelter is also a maintenance liability for the maintaining club–roofs leak, sills rot, idiots tag, trash collects. 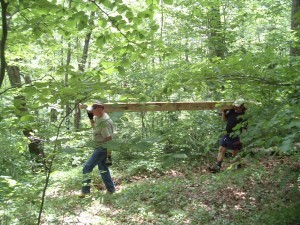 However, building a shelter is also a great way to collect new and energize old volunteers. The “beaver gene” in all of us wants to tame and improve on Nature. 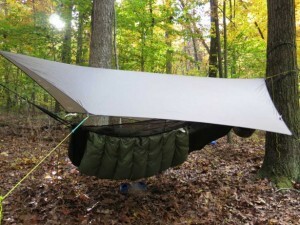 Another option is a tenting site. 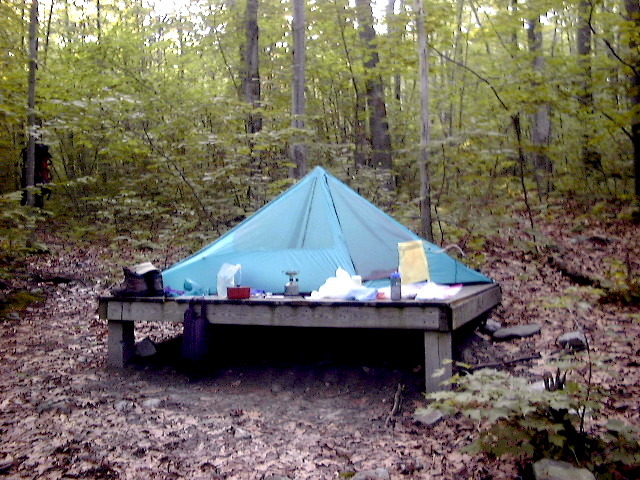 In our mythical optimal location, earthen tent pads (made of on-site materials and virtually maintenance free), and/or tent platforms are built on sloping or rocky land providing the only place to put a tent–thereby limiting creep and its subsequent additional impacts (remember the whole idea is to concentrate use). Tenting-only sites also don’t seem to attract the bottom-feeding type of “hiker” that sees a trail shelter as the perfect party spot, far removed from visits by the local constabulary. Those with hammocks of course, don’t have to take ground conditions into account, as long as there are a reasonable number of suitable trees. A final item at an A.T. overnight site–other than a privy: A means of food storage making it difficult for critters to get to hiker’s food is increasing in popularity. This is particularly useful where bears are common–or have discovered that campsites are low risk/high calorie options for feeding. Even where bears are not frequent, critter-proof storage also helps minimize campsite populations of mice, raccoons and other small mammals. If a shelter is constructed, siting the actual structure becomes important. Traditionally shelters face east into the morning sun, but other factors such as prevailing winds, site slope, or soils and vegetation may dictate other orientations. 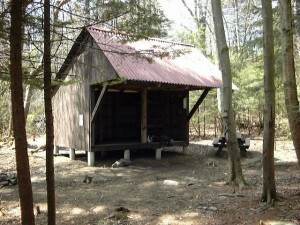 While certain areas (such as parts of the Long Trail or other high elevation sites) have some “cabins”–that is, 4-sided shelters–most have just three sides which aids cleaning, keeps people from setting up there more or less permanently, and helps the structure last longer, as air can circulate freely, making it more difficult for rot and mold to become established. Shelters and other newly constructed facilities at overnight sites also conform to requirements for Universal Access, which requires a specific height above the ground, doorways of ample width, and other minor design considerations. 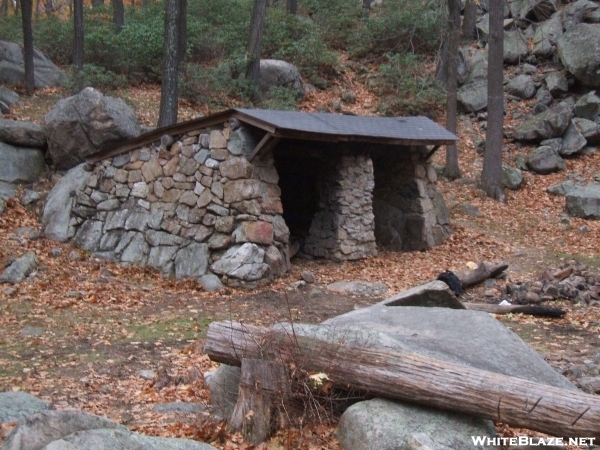 Materials for shelters vary, a few are more or less entirely of stone–if you’ve stayed in one, you can testify how damp they get, especially in the spring or when it’s very humid. Others are built with cinder block (a singularly unattractive material choice in my opinion). 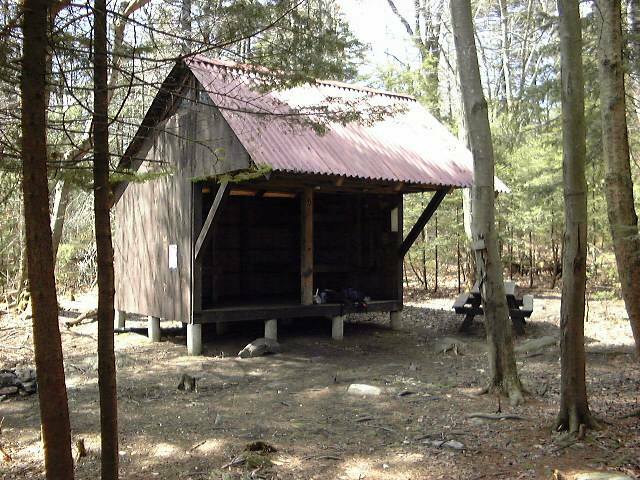 Most shelters however are made of wood. A few are made of peeled logs, with interlocking corner joints and look quite rustic. With well-constructed footings, these can easily last 50 years w/little maintenance other than the occasional roof replacement. Others shelters are build of regular old dimensional lumber and plywood–I find these almost as ugly as the cinder block ones. 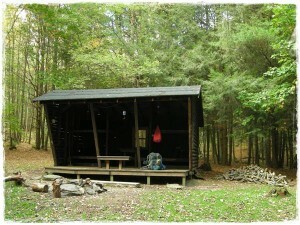 My favorite style is (or mimics) post and beam construction, with large, rough sawn timbers and simple roof structures. You may have a different preference, and on a long distance hike, you’ll see them all. On my first visit to an AT shelter, my first impression was how dirty and messy everything was. I guess I was expecting it to be a little more ‘park like’. 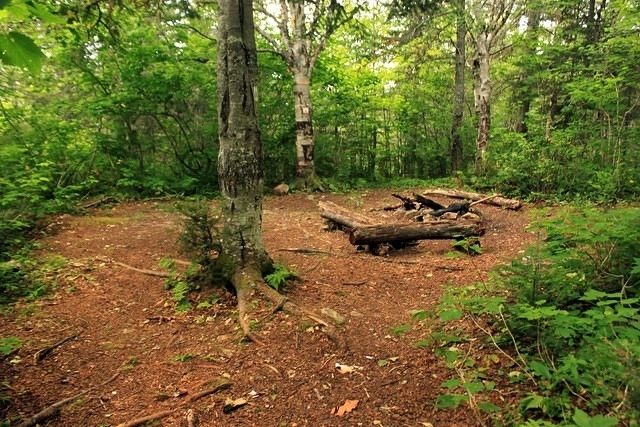 Neatly trimmed vegetation, tidy fire ring, maybe some nice grass underfoot…. The reality is that these sites are heavily used by a transient population, who arrive tired and dirty, usually late in the day, and have no energy or incentive to tidy things up. Shelters with an active ‘adopter’, able to make regular visits are not common, but there are some spectacularly clean ones out there. Clarendon Shelter in VT comes to mind–they even mow the lawn. Which brings us to the idea that the trail environment (Trail Experience) should be ‘primitive’. This ruffles some feathers, because there are those that believe describing desired conditions as primitive deters potential new visitors. In management jargon however, primitive means there are no services such as running water, heat, lights, etc. I would argue (despite the convenience of being able to order pizza delivered to some locations) that AT hikers seek out things like “A sense of remoteness and detachment from civilization” and similar values–described in ATC’s policy regarding the Trail Experience–referenced in an earlier post. 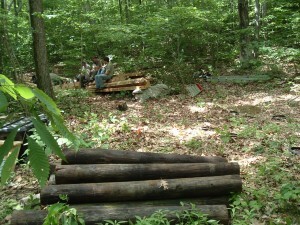 Overnight sites are a large part of hiking the AT. 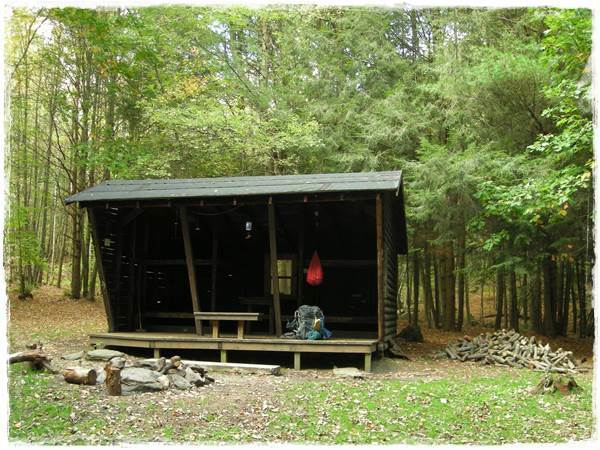 They can provide welcome respite from the rigors of the day, and serve a key social function within the hiking community, an overnight site should lay lightly on both the land and the hiking experience. It should be part of a seamless whole, and as much as possible look like it relates to its surroundings. So enjoy your overnight visits on the Trail, they are some of what makes the AT unique. Treat them with respect and think about those who will be visiting there tomorrow and experiencing it for the first time–just like you did. Thanks for the effort it took to put together this very good and informative article. I really enjoyed reading it.